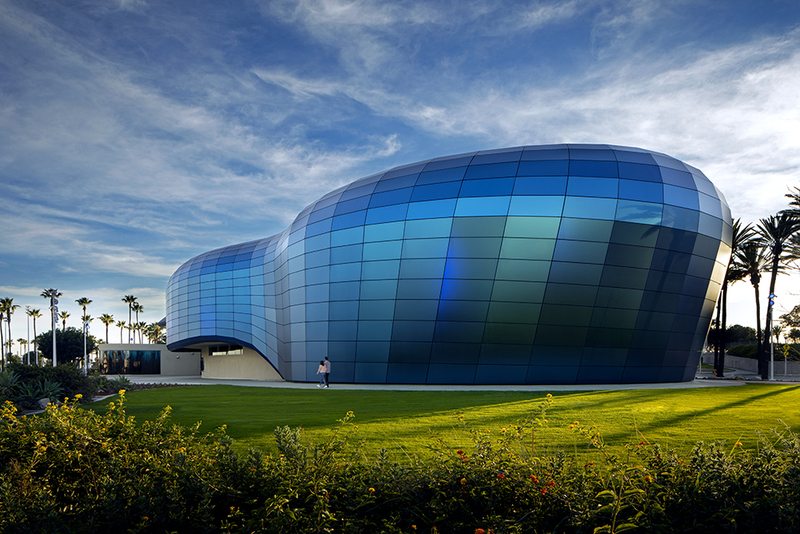 The Pacific Visions project is a significant expansion to the Aquarium of the Pacific, also designed by EHDD, in Long Beach, California. Anchored to its front public plaza, the two-story, sustainable biomorphic glass structure houses an immersive theater experience and changing exhibit galleries, and will be the Aquarium’s largest addition since the campus opened in 1998. The Pacific Visions expansion is designed as a new medium for engaging audiences in an ever-evolving dialogue between sea, sky, and city. 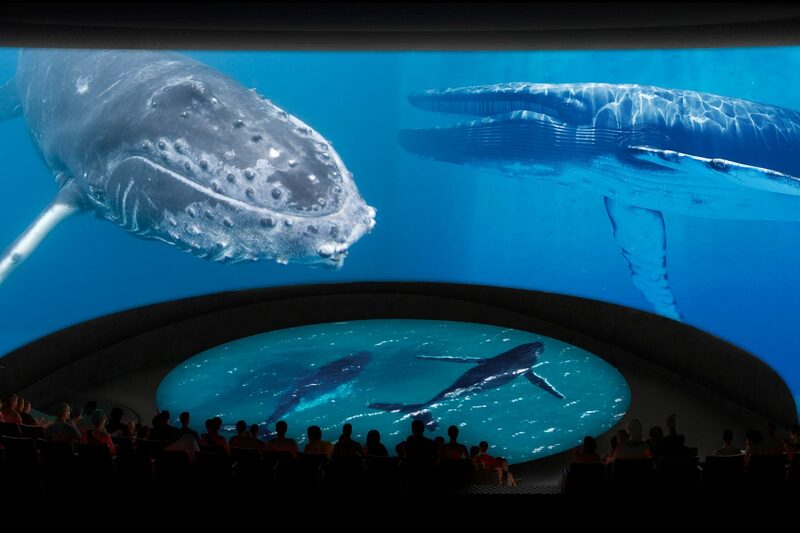 The mission for this new building is to focus on the health of the Pacific Ocean and to convey the story of animals that depend upon its well-being: animals which are too big to keep in human care and others which are too small to see with the human eye. This attention to conservation and the contrasting scale of the animals to be featured is the genesis for the new building concept. While the original aquarium presents its aquatic program within a series of curvilinear, rippled shapes, Pacific Visions provides a counterpoint within a single sinuous, biomorphic form that is meant to encourage different interpretations. The Pacific Visions expansion, opening in May of 2019, will offer a vivid multi-sensory, multi-dimensional experience unique among informal learning centers.